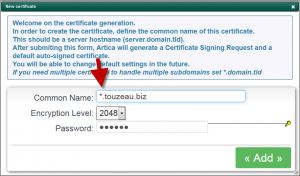 If you want to deal with HTTPS websites, you need first to create your certificate. 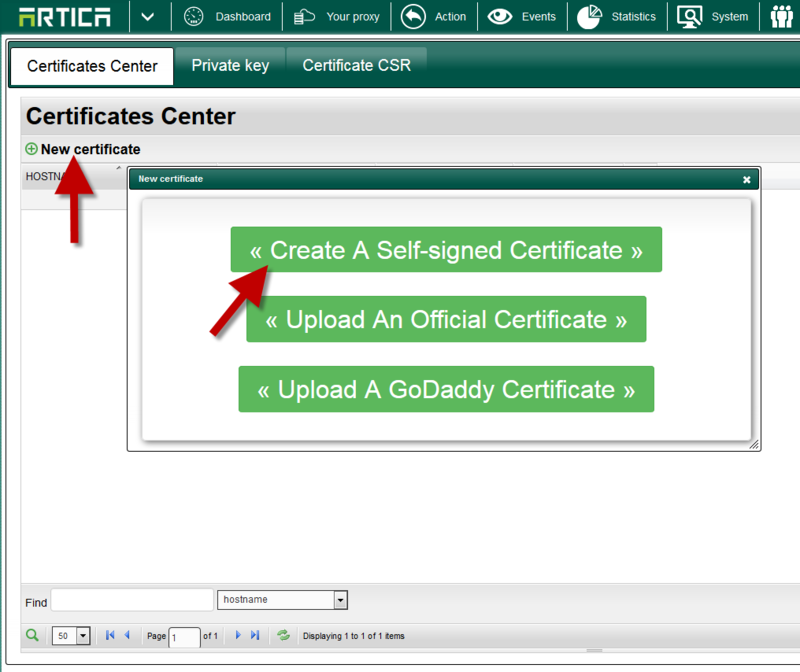 The “Certificate Center” allows you to create your certificate and is able to store all certificates used by TLS/SSL services. 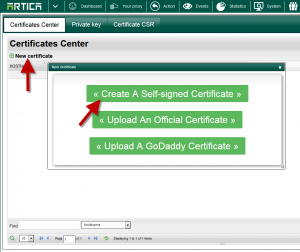 For the proxy, is it mandatory to use a Valid Certificate from Offials certifiers ? No, using a valid certificate will not avoid certificate warning in browsers when using MAN-IN-THE-MIDDLE because the proxy will sign each website with the designed certificate. 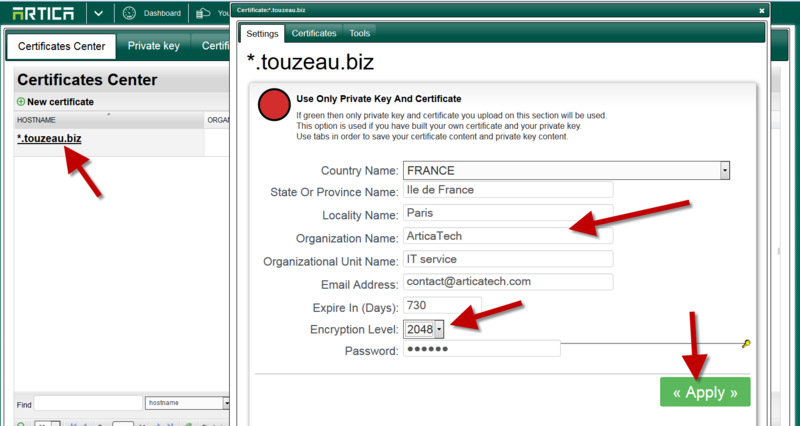 In this case the certificate will be not trusted by browsers. 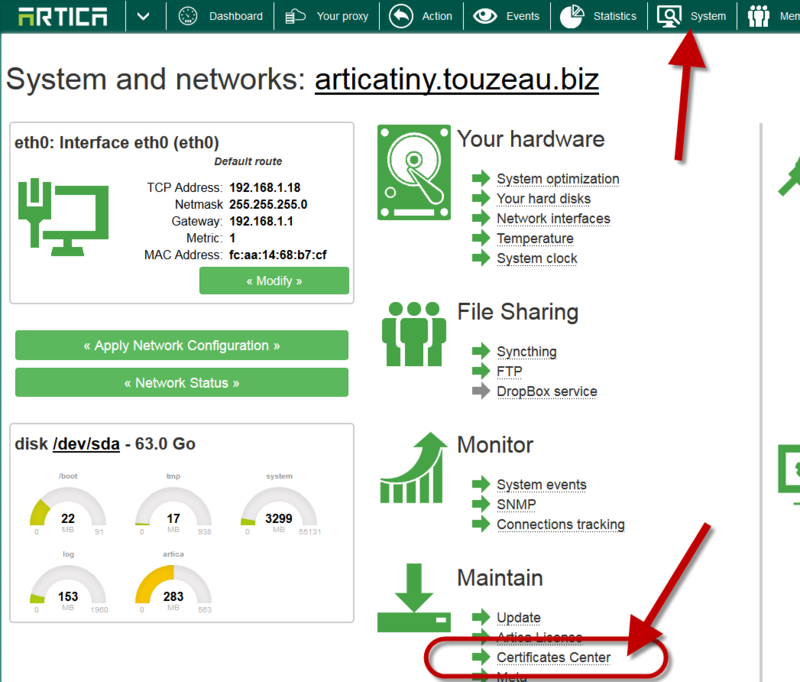 The certificate center can be found by clicking on the “System” icon on the top Menu. 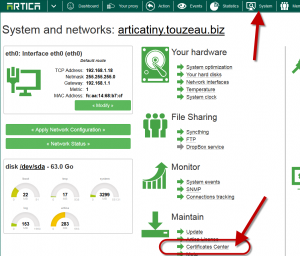 Choose “Certificate Center” under the Maintain section. 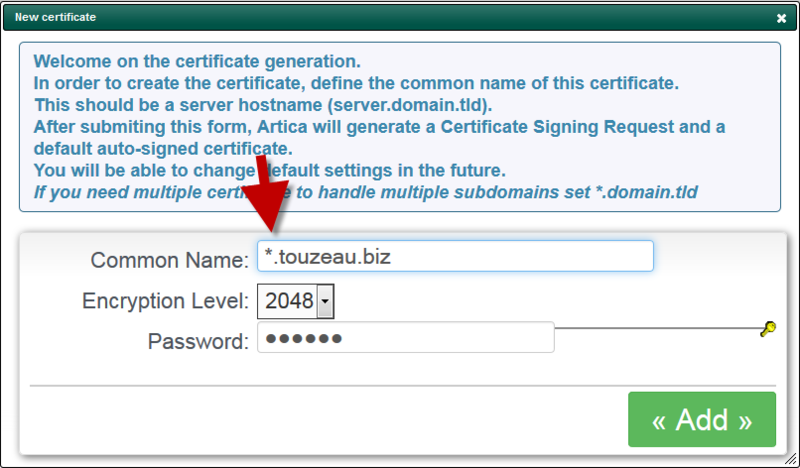 For the proxy, define a global certificate by set a star for the prefix domain. 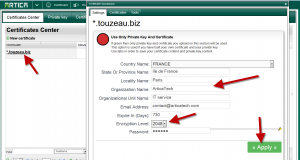 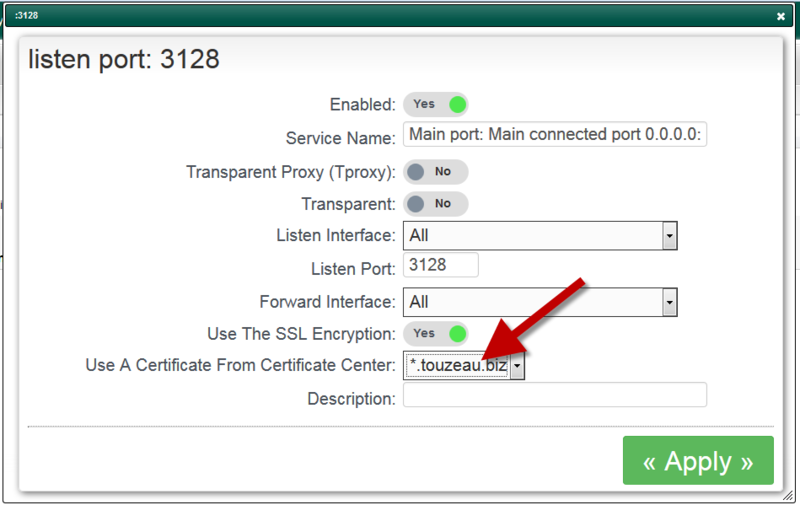 Now your certificate is ready to be used by your proxy in Ports section.